When will be Jackie Chan Adventures next episode air date? Is Jackie Chan Adventures renewed or cancelled? Where to countdown Jackie Chan Adventures air dates? Is Jackie Chan Adventures worth watching? Jackie Chan Adventures is the exciting new animated series from world-famous action hero Jackie Chan. You've never seen Jackie like this!Jackie Chan, an archaeologist in this series, gets caught up in a conflict between government agency Section 13 and a criminal syndicate known as the Dark Hand. Led by Valmont, the Dark Hand is collecting magical talismans to reanimate an ancient dragon-like demon known as Shendu. Jackie also has to keep an eye on his adventurous 11-year-old niece, Jade, who has just flown in from Hong Kong. Jackie Chan, Jade, and his wise, old uncle must do all they can to stop evil from obtaining these powerful talismans and must embark on many missions to save the world from evil. Jackie Chan Adventures next episode air date provides TVMaze for you. 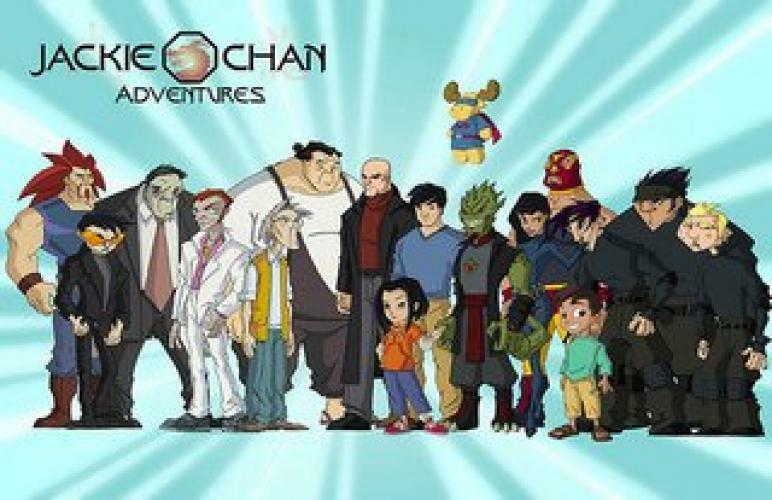 EpisoDate.com is your TV show guide to Countdown Jackie Chan Adventures Episode Air Dates and to stay in touch with Jackie Chan Adventures next episode Air Date and your others favorite TV Shows. Add the shows you like to a "Watchlist" and let the site take it from there.